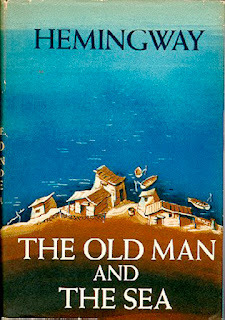 On Saturday I posted about the sixtieth anniversary of Ernest Hemingway's The Old Man and the Sea. Originally published in Life magazine, it sold more than five million copies in two days, went on to become a best-seller in book form, and is now considered a classic. 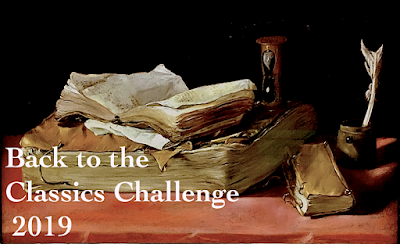 It is a perennial fixture on high school reading lists all over the country. Confession time: I disliked The Old Man and the Sea. An old man and a big fish? Come on. Neither could possibly be considered interesting subject matter for a fourteen or fifteen year old girl. In the end though, I did the required reading, complained bitterly about being bored, wrote the requisite essay, and promptly forgot all about it.
" He was an old man who fished alone in a skiff in the Gulf Stream and he had gone eighty-four days now without taking a fish. In the first forty days a boy had been with him. But after forty days without a fish the boy's parents had told him that the old man was now definitely and finally salao, which is the worst form of unlucky, and the boy had gone at their orders in another boat which caught three good fish the first week. It made the boy sad to see the old man come in each day with his skiff empty and he always went down to help him carry either the coiled lines or the gaff and harpoon and the sail that was furled around the mast. The sail was patched with flour sacks and, furled, it looked like the flag of permanent defeat." Wait a minute. Is this really the same book I read in high school? How did I totally ignore the beauty in the simplicity of Hemingway's prose? Was I not touched by the boy's devotion to the old man? Did I miss the old man's respect for the fish, or have I simply forgotten? And what about the old man and his struggles to overcome physical limitations? Yes, The Old Man and the Sea is more than just a fishing story. And while it will never be considered a personal favorite, I have a newfound appreciation for this classic Hemingway novel. I read it when I was much younger and remembered liking it, but I can't for the life of me remember any of it. I need to re-read it. Ti - I didn't remember a thing either. At just over 120 pages, a reread wouldn't take long. It's worth it. Amy - That is just gorgeous!! I never knew The Old Man and the Sea had been made into a short film. Thanks for the link. I've never read Hemingway, his books have never called me but the fact that you have come back to this one with added appreciation, and the fact that I am always drawn to books about the sea, might just sway me. Fleurfisher - This is a very short book (a novella, really), so even if it's not for you, the time investment will have been minimal. Will be curious to see what you think. I know what you mean. How we see different things now than we did back then. Even if we still enjoy them, we appreciate them in different ways. Laurel-Rain Snow - Exactly! I'm beginning to wonder if I should reread all those high school classics... even the ones I loved. When you say you have come to appreciate Hemingway, does that mean you weren't always a fan? I've only read one of his (Farewell to Arms) and I'm sorry to say I didn't like it. I hope one day I can come to appreciate him too, although I will save Old Man & The Sea for that time and not before! Sam - No, I haven't always liked Hemingway. I read both The Old Man and the Sea and For Whom the Bell Tolls in high school, but wasn't really a fan until I read The Garden of Eden and A Moveable Feast many years later. I'd like to read The Sun Also Rises next. Oh, that passage is beautiful! Missy - It really is... especially the last sentence. I read this one quite a while ago and absolutely loved it. So glad that you decided to give it one more shot! Amazing what happens when we allow our minds to mature a bit, huh? Isn't that the truth, books we HAD to read in school we found boring, but when reading for pleasure we see what we missed first time around. Diane - Sometimes I feel like I should give all those 'hated' books another chance.... except maybe The Red Badge of Courage. Don't think I could ever subject myself to that again! I'm glad you revisited it. I've always loved this book, even as a young teen. Well, then, perhaps I need to give this one another chance. It is THE book that convinced me never, ever to read Hemingway again. But I was in high school so I may well find it an entirely different book, too. Now here's the question: if high school aged kids can have no appreciation for the writing itself, why bother to have the kids read these books? Might we just be convincing perhaps already reluctant readers that all "great" books are really boring? I really struggle with the idea of what books should be used to expose kids this age to literature. Lisa - Such a great question - I've always been a reader, but HATED many of the 'required' high school books. 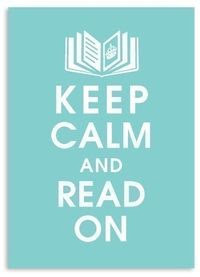 Imagine what the non-readers must have though! My reread of THE OLD MAN AND THE SEA has me considering a 're-reading high school' project. I think "appreciate" is a keen word and describes how I feel about Hemingway as well. He's never been my favorite author but there are many aspects of his writing that I do truly appreciate. 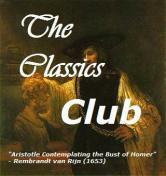 This is one of those I'd like to revisit--I think I may have even put it on my Classics Club list for that reason. Out of the four or five books I've read by Hemingway, this was my least favorite. I tend to enjoy his short stories more. Trish - We have very similar feelings when it comes to Hemingway! I should really read more of his short stories - picked up a collection last year, but have only read a handful so far. Charlottereadsclassics - Thank you! It was fun to revisit a high school classic and, even if I still don't love it, finally develop an appreciation. I had read the translation(Sinhala - my mother tongue) of this book many years ago.I liked it then too.Now I have found the English book and hoping to read it soon. Gayan - I hope you enjoy it just as much in Hemingway's native language! Thanks for commenting.